The privacy of the personal information we collect from customers and potential customers, as well as members and potential members is very important to Georgetown Insurance Service, Inc. You have received this notice in accordance with federal and state laws. This notice is to provide you with our understanding of types of non-public personal information about you that we may collect, how we use it, and how we protect that information. 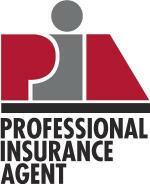 Information we receive from the companies we represent which provide insurance policies. The type of information we collect is related to the insurance you request from us and may include your name, company name, address, social security number, FEIN, driver’s license number, ownership of property, marital status, health information, and other information required to get insurance coverages for you. Name, company name, address, social security number, FEIN, driver’s license number, property, or types of information that have been listed in paragraph I above. We restrict access to non-public personal information to those employees, agents, representatives or parties who need to know the information in order to provide the insurance products requested.